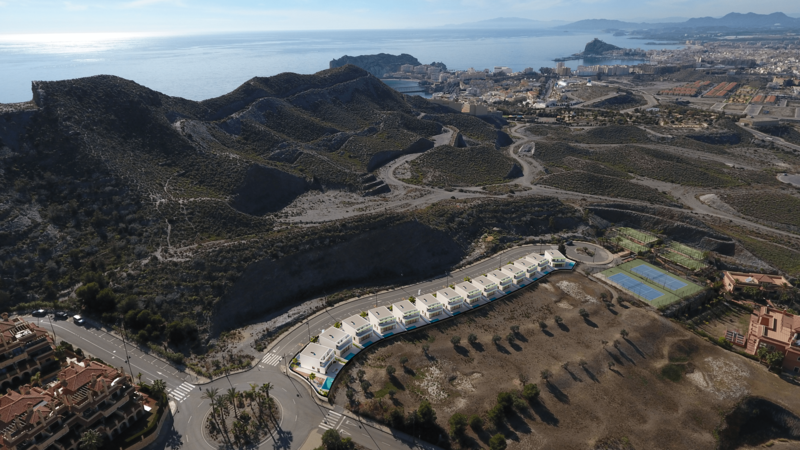 Residencial Isla del Fraile Villas is located in the exclusive Isla del Fraile urbanization, in Aguilas and exceptional area on Costa Calida at only 50 minutes from the new Murcia or Almeria airport and 1h30 from Alicante airport. The area is connected through highway with the cities of Cartagena, Alicante and the rest of the beaches of Murcia and Almeria. The place is accessible by local trains. 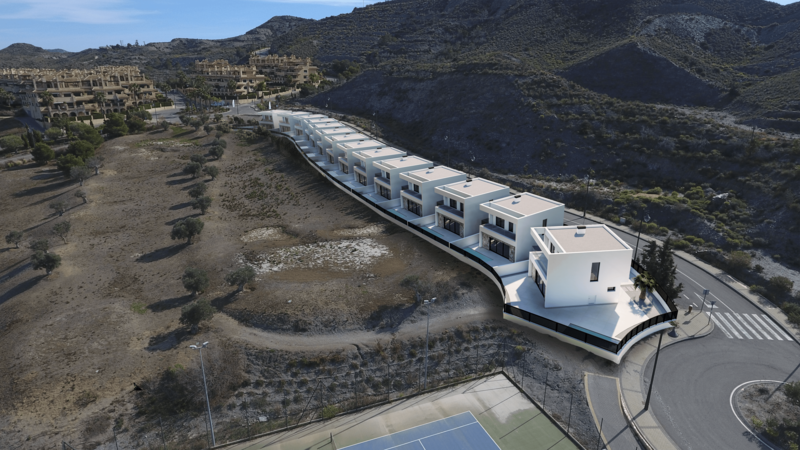 Isla del Fraile Villas is located in an exclusive urbanization, with direct access to an unique beach located from the urbanization. In addition, the area is close to Aguilas Plaza Mall, to many shop, bars and restaurants, as well as chiringuitos, fitness centre, pharmacy, etc. The urbanization has its own restaurant, hotel and sport facilities.